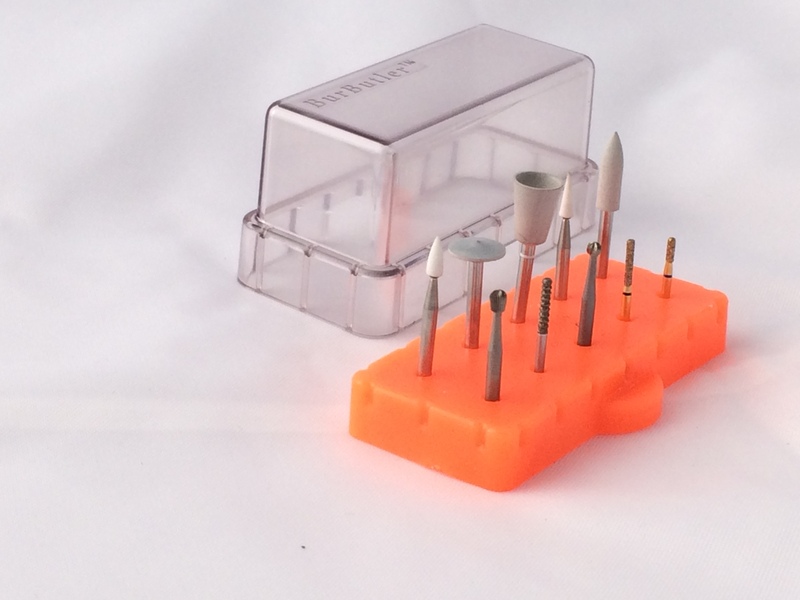 The BurButler was designed by Dr Paul Moore to meet the needs and improve the features of existing bur holders available. 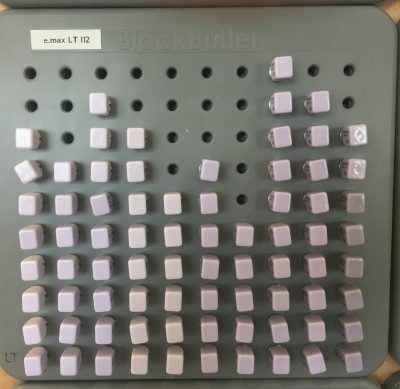 Our patented silicon BurButler is made of medical grade silicon and is suitable for every dentist, hygienist and technician in every dental practice, dental laboratory and dental hospital. The product is simple, durable, flexible and elegant in design. It is different to all other bur holders in that each and every “grips” the burs whatever the size of the shank of the bur. It will grip the taper of the silicon hole at the diameter of the shank of the bur. The force of insertion is therefore the same force for removal. Every dentist has their own preference for colour and size. You may decide to choose a particular colour for each surgery or dentist… you can tailor thoughts to your needs. Thus any selection of burs can be kept in any order the dentist chooses. 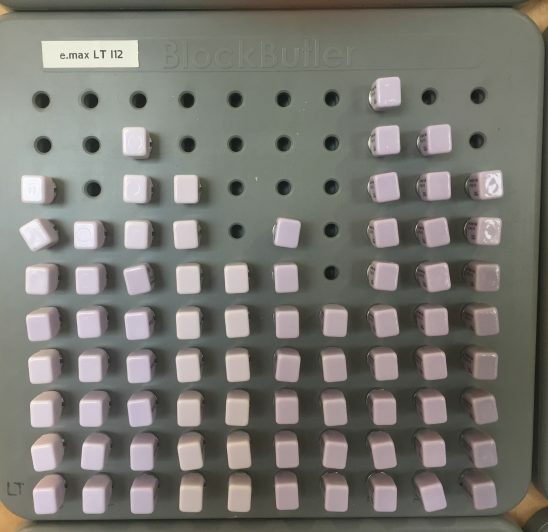 The secret to our dental bur block success is in the combination of design and material. The patented bur block hole and lid designs grips held upside down. Each hole should hold the burs whatever the type, in the order that the dentist chooses; fiction grip, latch grip and laboratory. Every bur fits any hole whatever the shank diameter. Fiction grip, Latch grip, Laboratory. The tapered orifice will bind at the diameter of the bur. Burs are made by different manufacturers and come in many sizes and have many uses. Burs usually connect to a a drill, which rotates them and provides torque and axial force. The shank is the part of the drill bit grasped by the chuck of a bur. The cutting edges of the bur bit are at one end, and the bur shank is at the other. There are three types of bur shanks grips which include: Friction grip, Latch-type and Laboratory grip. The BurButler grips each three types and the BurButler can even hold bits while inverted. 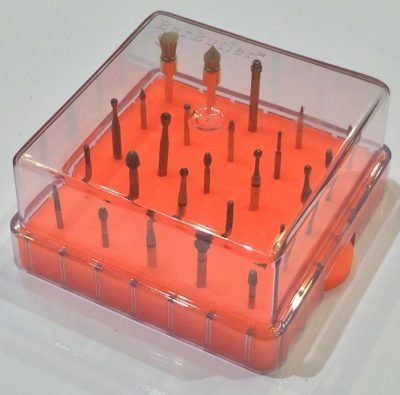 End Procedure: Replace worn burs from central storage. We recommend the excellent value of the 60 hole BurButler to keep all your central storage needs. 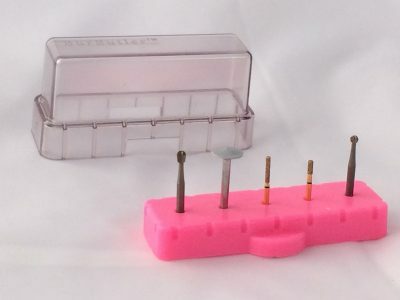 Mechanically clean any burs that require so. Designed to fit all bur shank grip types, our silicon products are sturdy, heat resistant, durable and made to last. Where other manufacturers may use metals and plastics for their products. The BurButler is made from natural silicate minerals. We use 100% non toxic, fully biodegradable, non polluting silicon ingredients, even our packaging is made from 100% bio-degradable plant materials. 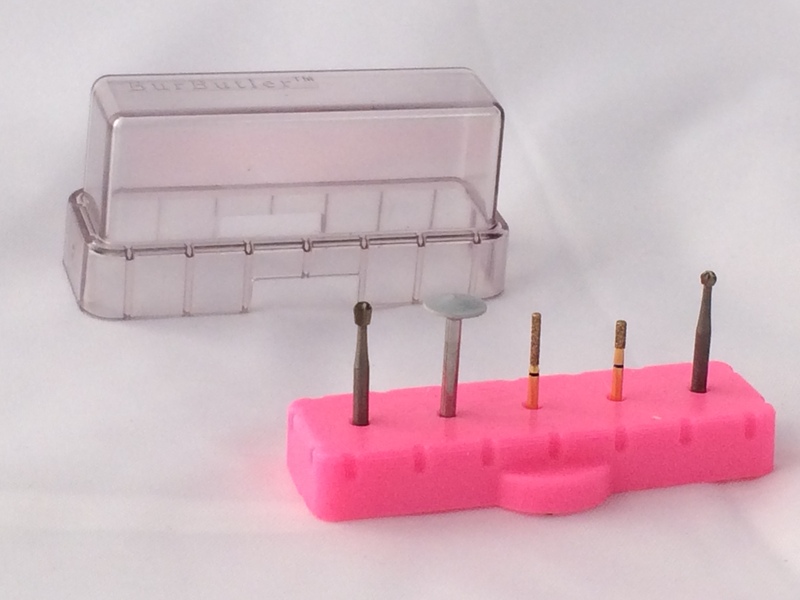 The colour coded bases allows each operational procedure to have its own colour and the same burs are always returned to the same dentist. The bases can also be labeled using a Sharpie pen. Our global network of authorised international distributors. If your country is not on our list please contact us and we will happy to take your order directly. If you are a distributor and are interested in joining our international network please contact us. We provide private label services for business partnerships. If you think we’d be a good match, please don’t hesitate to get in touch!